Carlotta B. Hample, M.D. is a graduate of Hahnemann University School of Medicine in Philadelphia, Pennsylvania. She completed her training in pediatric gastroenterology at Children's Natinal Medical Center in Washington, DC. Dr. Hample has been in practice since 1997. She has practiced in several local New York hospitals including SUNY Downstate Hospital, Winthrop University Hospital, Cohen Children's Medical Center and Staten Island University Hospital. She specializes in the care of children with various gastrointestinal issues such as celiac disease, inflammatory bowel disease, irritable bowel syndrome, gastroesophageal reflux and hepatitis. However, her interest lies in the diagnosis and treatment of eosinophilic esophagitis. Dr. Hample is an assistant professor at both SUNY Downstate hospital and Hofstra University Medical School. 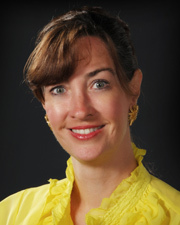 Dr. Hample is board certified in pediatric gastroenterology.